I've had a handlebar mustache for about five years now, and I've learned a lot over those years about how to grow and care for it. I will now share all of that information with you! Hopefully this will encourage you to grow one for Movember! The first thing I want to address right now is that I do not use wax on a daily basis. I kind of hate using wax, but I still do it on occasion. I shall teach you my secrets, starting from the beginning! When I first set out to grow my mustache, I was confused as to how exactly to do it. Do I just grow the sides? The whole thing? How do I keep it from getting all in my mouth? Well, you have to grow the entire mustache, not just the sides. If you grow only the sides, it will eventually become too sparse, and it will look sad. If you currently have only the sides grown out, you may want to consider shaving them down so they're even with the rest of your mustache, and growing it out evenly from scratch. 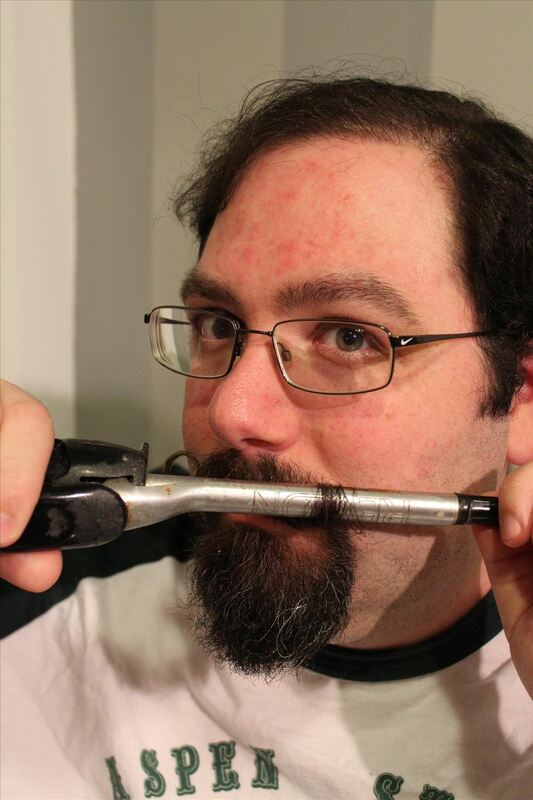 The way you properly grow a handlebar is to grow the entire above-lip area out, and just keep pulling/brushing it to the sides, starting from the center. At this stage, it may be useful to use wax to hold it up. That's up to you. I've found that as the hair got longer, it has tended to just stay that way on its own, so long as I convince it with occasional hand-brushing. There's not much else to this section other than "just don't shave your upper lip". I don't do anything special for it, other than just shampooing and conditioning it in the shower. There are a variety of creams you could probably use if you were so inclined, but I don't bother. Other than that, it's remarkably easy to care for. The only hard part is below, in the curling section. My mustache is long. Unless you've been growing yours for years, yours will not be this long in a month. Depending on how fast your hair grows, you can maybe expect half an inch in a month, if you're lucky. So, if you really want a handlebar, it'll take you a whole lot longer than the month of Movember to get the job done right. 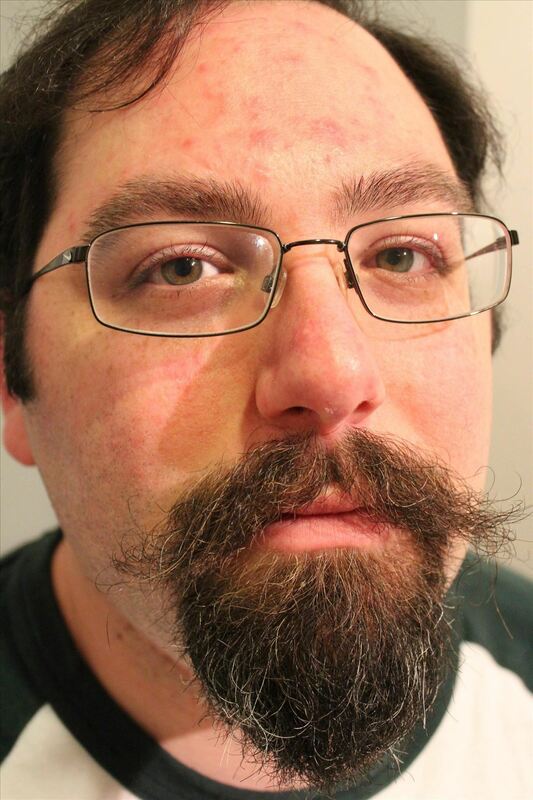 Also, growing a handlebar mustache is a labor of love, and it will get in your way on a daily basis. It will get in your food, and it will get in the way when you're kissing. I frequently get asked what my wife thinks of it; well, I'll tell you. My wife was the one who suggested I grow it. Her reasoning is that my facial hair grows so fast that if I'm clean-shaven, my face feels like sandpaper after only half a day. So with grown and cultivated facial hair, it's soft and pleasant rather than hard and abrasive. I know, not especially glamorous, right? It's kind of all over the place. Yeah, it's old and it's seen better days, but it works great. Men are often afraid of curling irons, and with good reason; they get extremely hot, and can easily burn you. I was certainly afraid of them before my wife made me proficient in them. 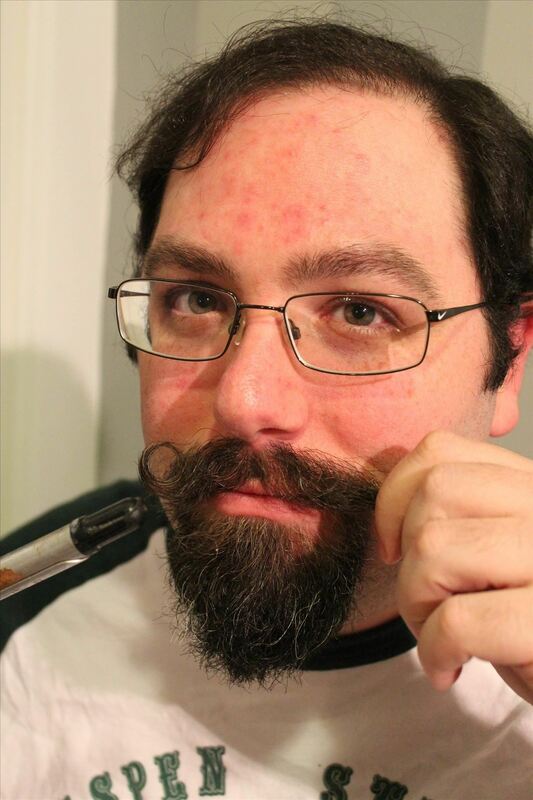 Despite the mistaken belief that men only curl their mustaches with wax, men in the Victorian era absolutely used curling irons to style their facial hair. 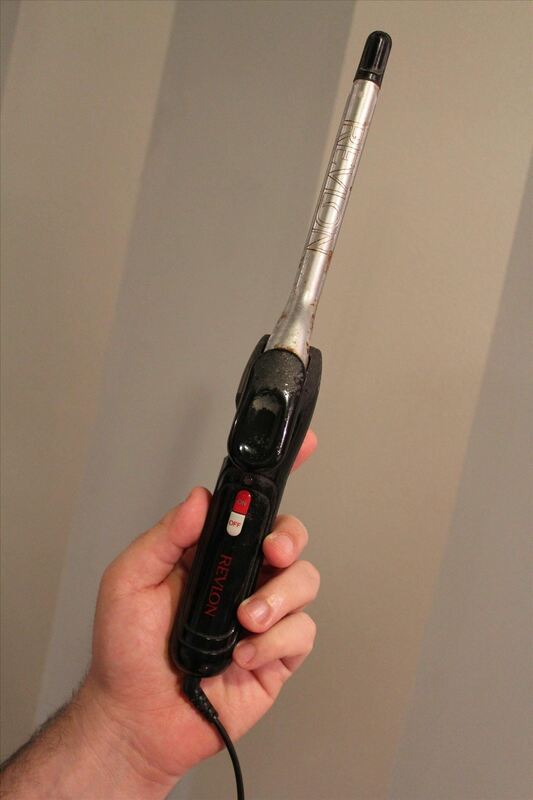 In fact, one of my friends owns a tiny, vintage non-electric mustache curling iron. Curling irons have adjustable heat settings. Start low, and work your way up until you find a temperature that works for your hair. It may be hotter than you think! Do not apply a curling iron to your mustache if you've waxed it first. Always wax after curling, if you're so inclined. This is a 1/4th inch bore curling iron. 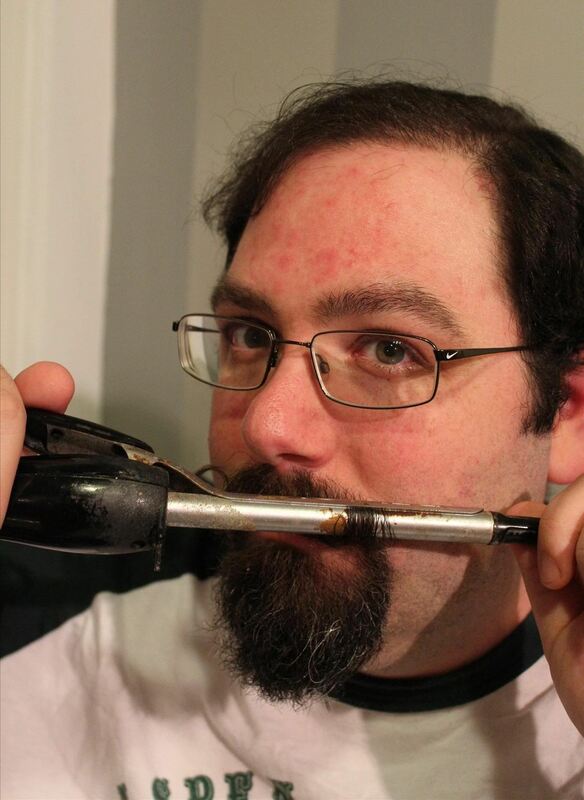 I like tight curls on my mustache, but every now and then I'll use a 1-inch bore. They both work the same way. It should take between 30 to 60 seconds for a good quality curling iron to heat up. If you have a cheap one, it can take up to 5 minutes. Be aware of this. Okay, moving on. The first step is to pull your mustache out a bit. Then clip the curling iron onto your mustache near the point where it attaches to your face. This may seem like the dangerous part, but it isn't. This is the part where you're paying attention, so you're unlikely to burn yourself. 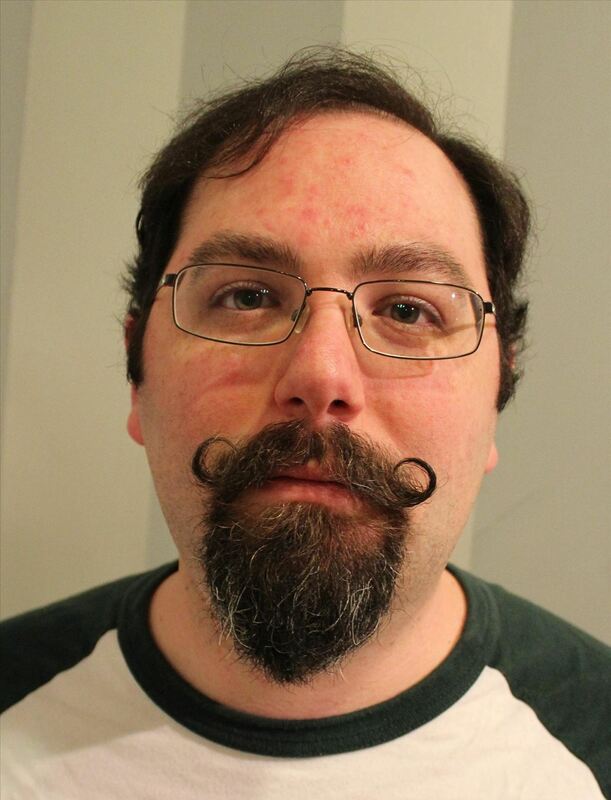 Note in the picture below the wispy ends of the mustache are poking out. That's because it's close to my face. You probably only need to leave it there for the count of ten, if you're at the right heat setting. In the above picture, note that the wispy part is gone, because I've pulled it down with the clip as I rotated the curling iron. So Why Use Wax at All? 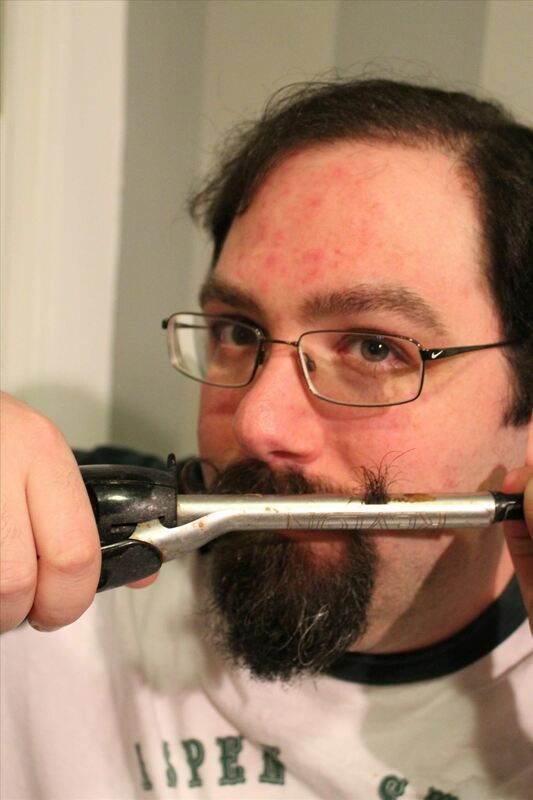 You can use wax to curl your mustache, but I just can't overstate how awesome using a curling iron is. However, the one bonus that wax has is that it can make your mustache look much neater because the wax will keep wispy hairs from poking all over the place. So I'm going to show you how to apply wax. First of all, don't use Clubman's Wax. It's awful. 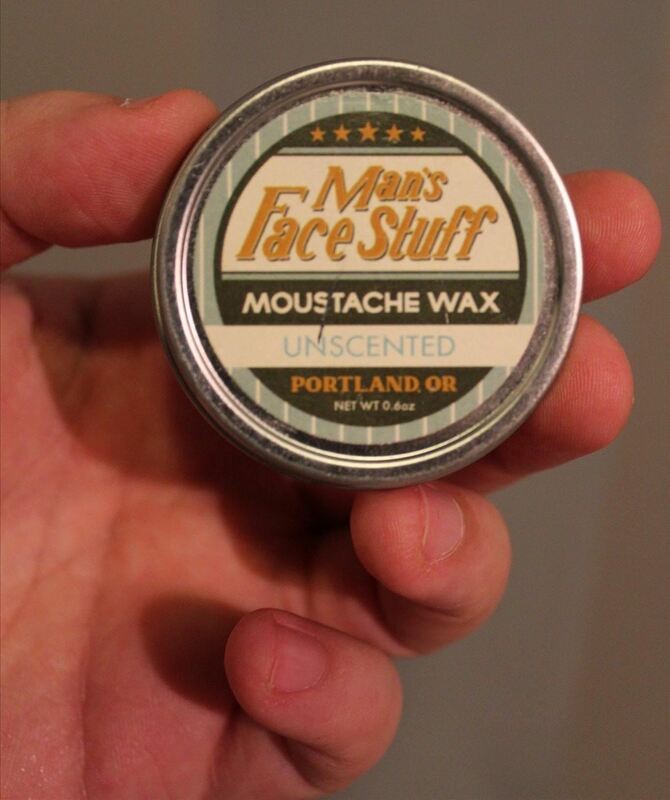 It's the only brand of mustache wax that they carry in most beauty supply stores, so I've seen an absolute ton of guys using it. It's the worst. 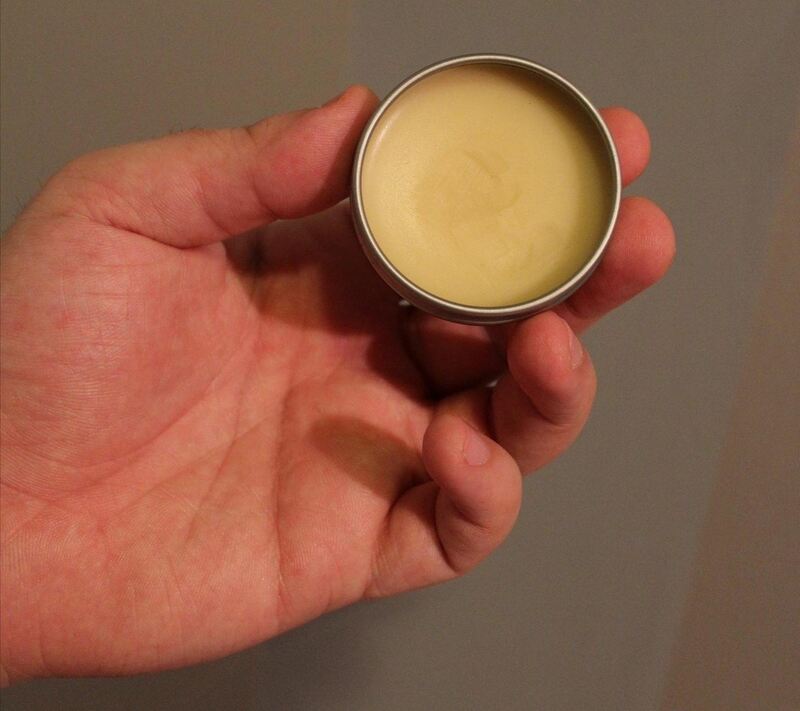 If your wax comes in a tube, it probably won't do anything for you. If you already use it, and think it's good, try something else. Trust me. You're probably using way too much of it. This brand is pretty good, though there are a ton of brands out there on the internet. Try a few. So, how do you get it from the tin onto your face? I'm glad you asked! 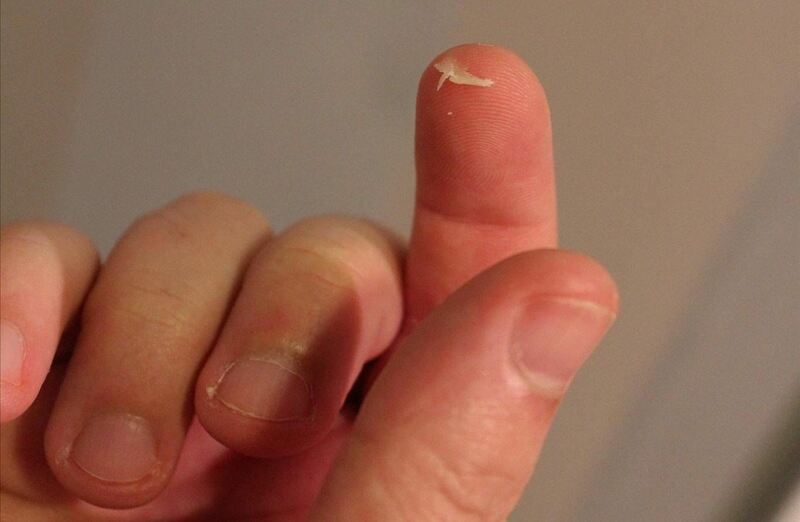 Then, using your forefinger, scrape it off so that the wax ends up on the pad of your finger. Now rub it between your fingers to heat it up a little bit. 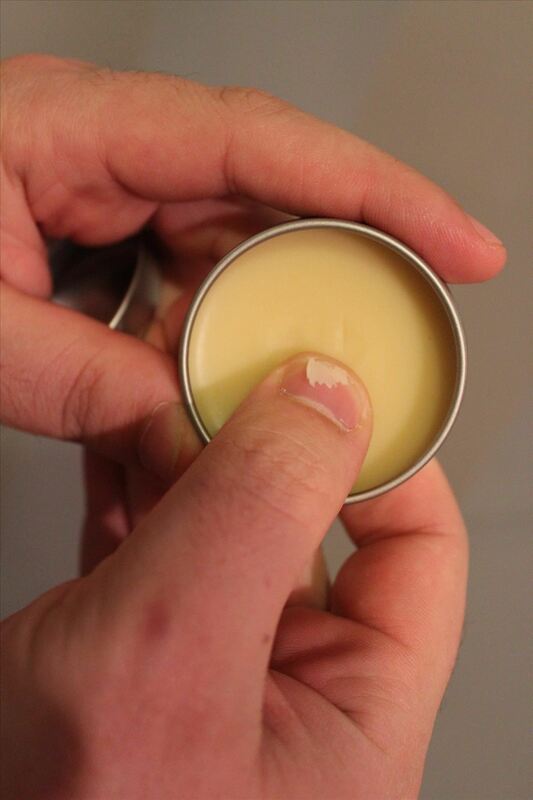 This will make it almost dissolve in your fingers, but your fingers will still have the wax on them. From there, you can work it into your mustache, starting from the center and moving outward. 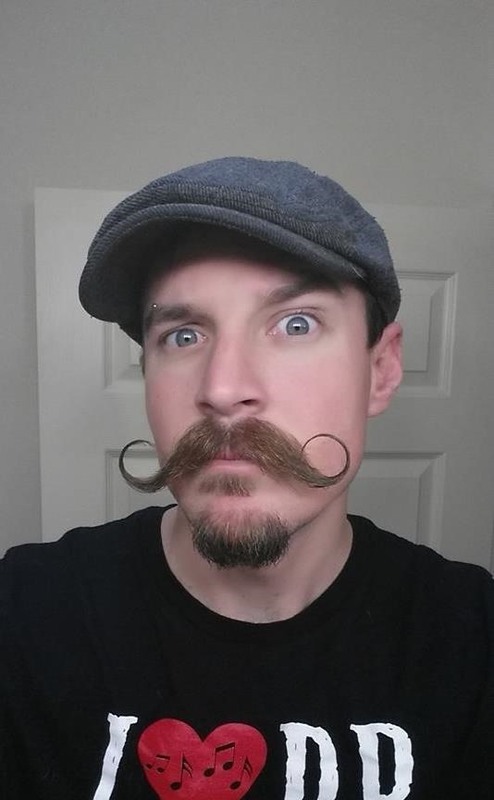 Be sure to get it not just on the curl, but on your whole mustache. Once you have it on the area above your lip, move on to the curl. Once properly applied, you can then smooth out your mustache and it will more or less stay where you put it. At least for a while. I've found that when I use wax, it lasts about six hours. Unless I eat, in which case it may need to be re-applied after eating. More or less exactly the same as the curling iron alone, but you may be able to tell that there are less stray hairs, and it generally looks neater. So, that's pretty much it! 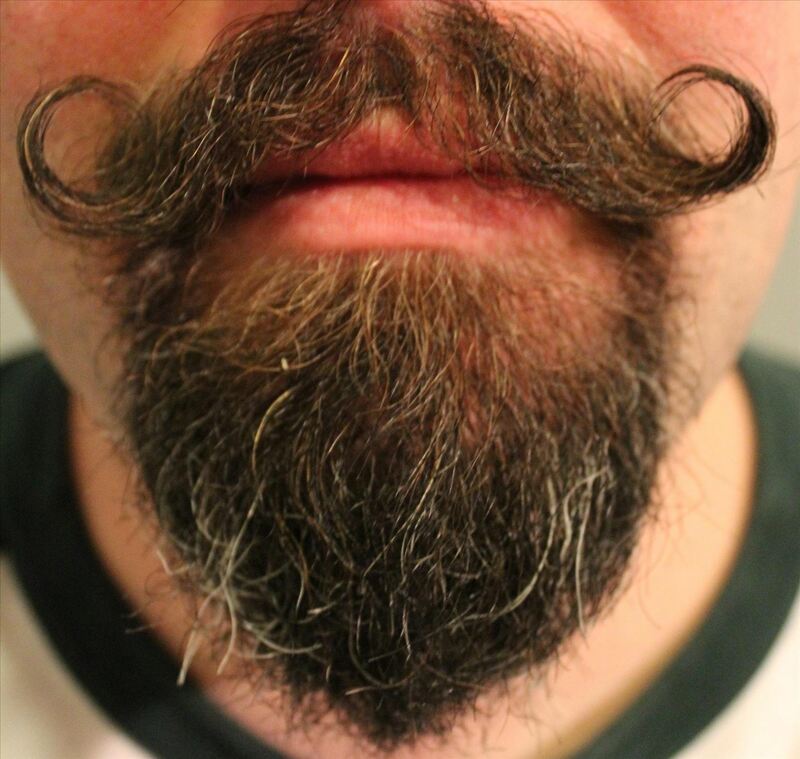 All you should need to know in order to grow, curl, and care for your handlebar mustache! If you have any questions, I'm happy to address them in the comments. Great article. I have grown only the sides of my Mo and now sport a variant of the Handlebar, called an 'English' - looks like something a spitfire pilot would wear, its straight out so an extra firm wax is a must, 'Bounder' being in my view the best. But for variety, I like to curl it every now and then. 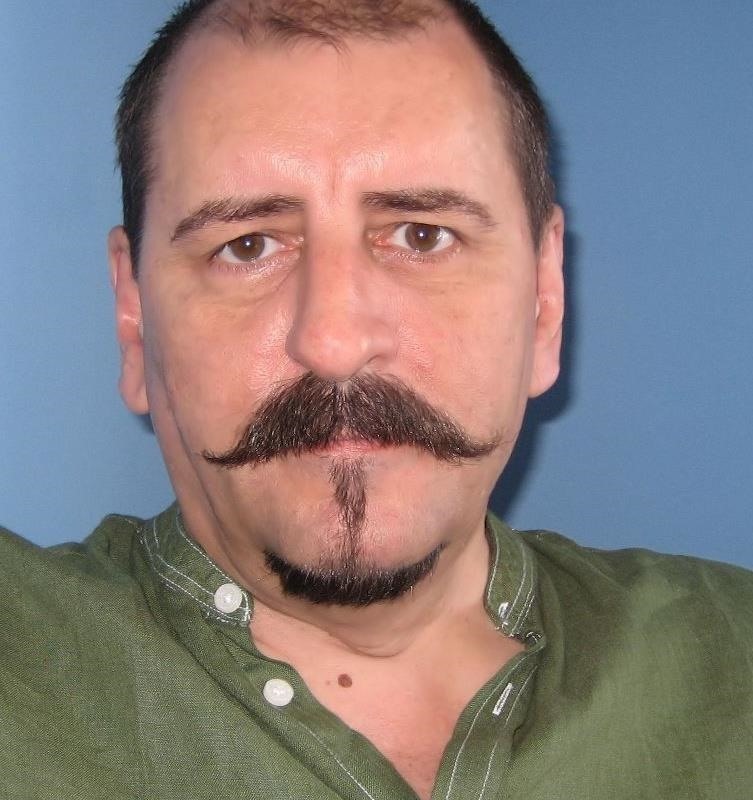 I use Bounder again for this but apply it to only the underside of the mo, which creates a quite a fine cur, something Poirot would be proud of. However I may give the Curling Iron a go. Thanks for sharing your experiences! 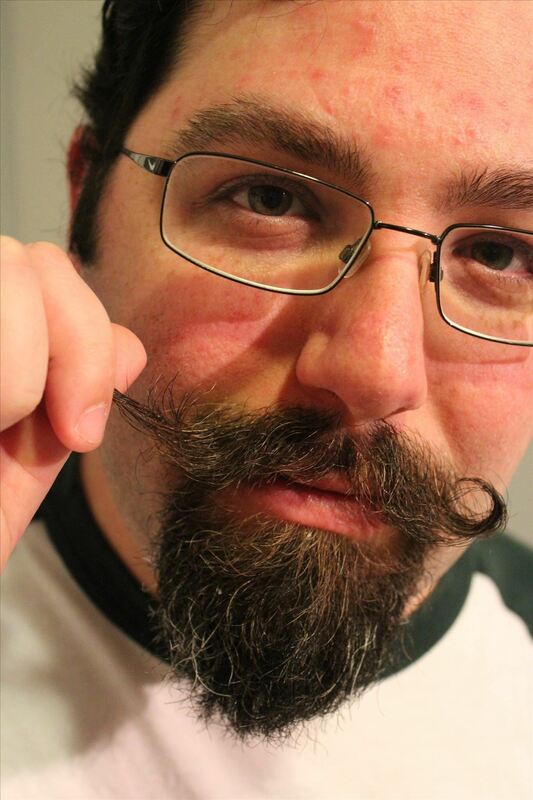 Do you have any good pictures of your mustache that you'd care to share? I'd like to see your style! I have almost the same setup as you, except that I have yet to go for the tight curl. Funny enough i was just being lazy letting my Van Dyke grow wild and wispy. Then one day I caught myself giving the stache a little twirl out of boredom. 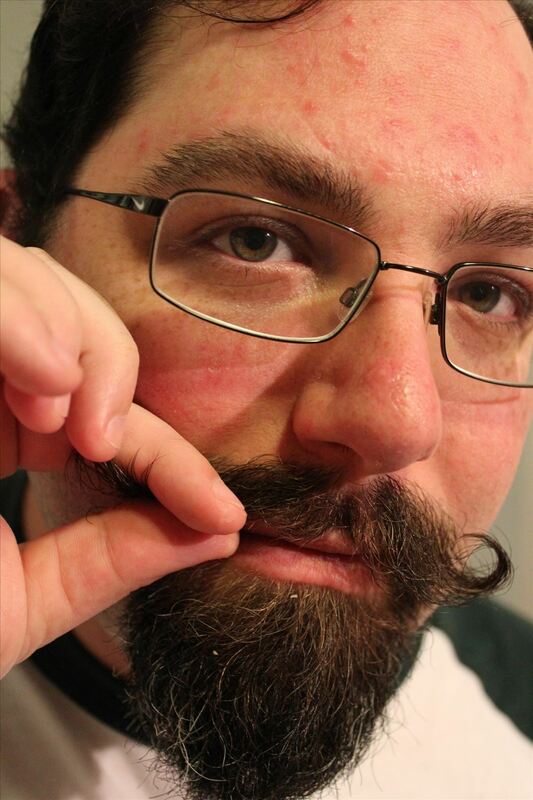 Voila, the handlebar was born. As far as wax goes, I haven't really used anything other than Murray's beeswax. It does contain fragrance, but it is one that I don't mind compared to others I have smelled. Please remove this post ASAP you little girl! A CURLING IRON?! Seriously? Your man card is revoked immediately! WTH? 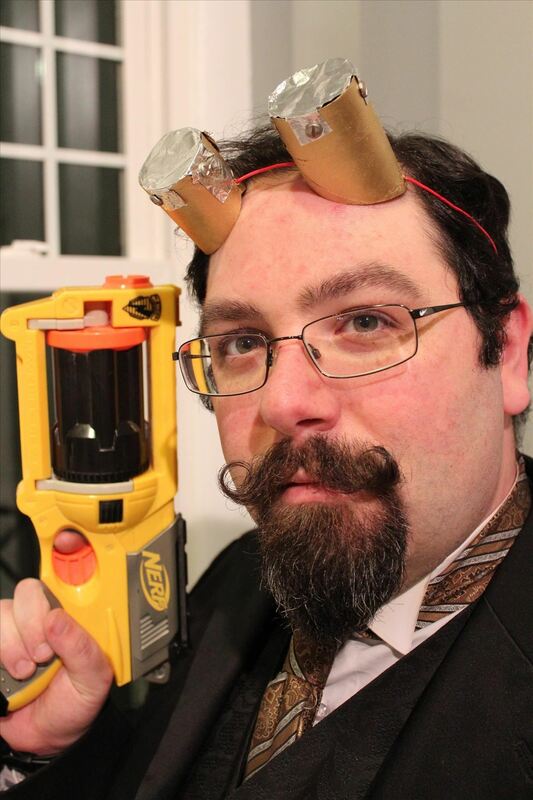 We- (The real men of mustache/beard world) find this to be a very serious offence. NO, don't shave it off! Jeezus! Get into a tub of water and make sure your curling iron is plugged in and dunk it! If you live, then you may try to get back your man card. This is the only way. Sorry, to come down on you this hard but you did it to yourself. NOW MAN UP! Nice idea but I have to wait for some time to get back my beard in that condition. Wax is next to useless, and ludicrously expensive. I use a hair styling product called Got 2 B Glued, which delivers impressive results, is very cheap, and immune to the steam from hot drinks and rain. . It requires a little 'loosening up' once applied as the hold is very firm, but keeps my lip-weasel in tip-top shape all day. Good stuff. Most important thing I can reiterate from this article is DON'T TRIM IT IN THE CENTER! it will destroy the look and fullness.